Perform the mass air flow meter inspection according to the procedure below. Only replace the mass air flow meter when the mass air flow value in the Data List (with the engine stopped) is not within the normal operating range or there is foreign matter on the mass air flow meter platinum hot wire (heater). Perform "Inspection After Repairs" after replacing the mass air flow meter (See page ). 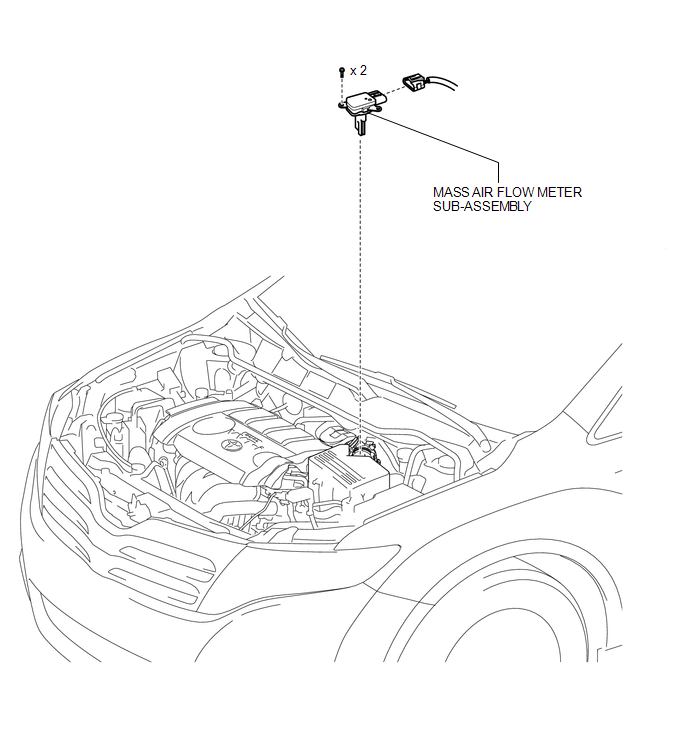 Perform the inspection of the mass air flow meter while it is installed to the air cleaner case (installed to the vehicle). 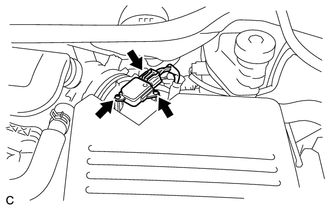 (d) Enter the following menus: Powertrain / Engine / Data List / MAF. (e) Wait 30 seconds, and read the values on the Techstream. If the result is not as specified, replace the mass air flow meter sub-assembly. If the result is as specified, inspect the mass air flow meter sub-assembly (See page ). (b) Remove the 2 screws and mass air flow meter. 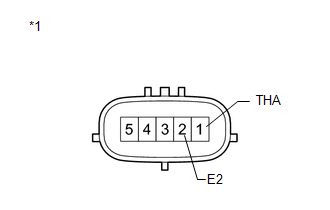 (a) Perform a visual check for any foreign matter on the platinum hot wire (heater) of the mass air flow meter shown in the illustration. There is no foreign material. 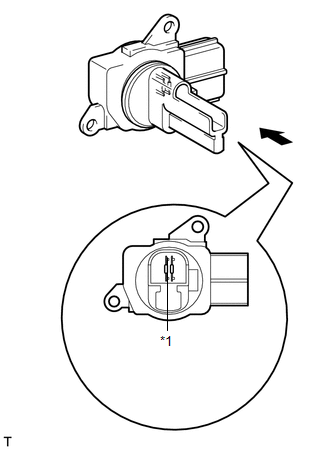 (b) Check the intake air temperature sensor (built into the mass air flow meter). (a) Install the mass air flow meter with the 2 screws. Make sure that the O-ring is not cracked or jammed when installing the mass air flow meter. (b) Connect the mass air flow meter connector.